This novel of supernatural horror is about a house filled with deathtraps that were designed to imprison the devil… and might just have succeeded! Jack Cady (1932-2004) is the sort of author that motivated me to blog about horror in the first place: extremely talented but relatively unknown today, and someone whose work I would never have discovered otherwise. He is best known for his masterful short stories, including the 1993 ghostly* novella “The Night We Buried Road Dog,” but he also wrote ten novels of horror and science fiction during his lifetime. 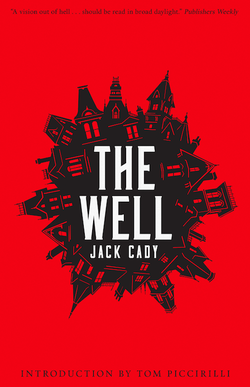 The Well was his first novel, and it is a fascinatingly surreal and nightmarish tale. Set in contemporary times (i.e. the 1980s), the story begins when John Tracker returns after two decades to his ancestral home, the House of the Trackers, in southern Indiana. Winter has cloaked the state in deep snow, and it threatens to get worse, as a blizzard is on the way. This adds urgency to John’s mission: to see if anyone –his father Justice, his grandfather Theophilus, or his grandmother Vera — are still alive in the house, and to get them out. It is not a task that John has willingly taken on; he fled the madness of the house in his twenties and vowed never to return, building a highly successful industrial landscaping company in the meantime. However, the state of Indiana plans to tear down the house to make way for a new freeway, and John will get the roadside landscaping contract if he can clear the house without trouble. John is in fact one of the only people who can safely enter the House of the Trackers. His great-grandfather Johann Traker, who initiated construction, also started planting traps throughout the house, with the insane purpose of imprisoning the devil within. This task was continued by John’s grandfather and father, who also continued adding rooms to the building, making it a massive multi-story monstrosity filled with deadly mechanisms for the unwary. John has been haunted his entire life by the madness and cruelty of his elders, but the business opportunity lures him home. The Well is a really well written and atmospheric novel. Like many stories about haunted houses, the house itself is one of the main characters, and Cady manages to imbue it with one of the strongest “personalities” I’ve ever seen. The atmosphere is bolstered at the beginning of each chapter with an excerpt from the history of the seemingly-cursed Tracker family, giving crucial background about the house as well as the chain of abuse that led to its creation and perpetuation. The deathtraps add an additional level of personality and insanity to the edifice and the people who created it. I’m quite fascinated by stories about “deathtrap houses,” which could be said to form a sub-genre of horror. One of the most notable recent examples of this is the 2012 movie The Cabin in the Woods, though there is plenty of literature and movies and television with similar themes prior to this, going back at least as far as Wilkie Collins’ 1852 story “A Terribly Strange Bed.” Sometime in the near future I will explore this genre in a more detailed blog post. The only criticism I have about The Well is that it seems to lose some of its steam in its latter third, and becomes a bit confused at the same time. Once all the “pieces are in play,” so to speak, and I had a good idea of what is going on in the House of the Trackers, I felt like some of the eeriness of the house was lost. Furthermore, the resolution of the story was, in my mind, somewhat unclear and a bit unsatisfying. Nevertheless, it is a really cool story, with an absolutely fantastic setting. For me, The Well ranks among the most imaginative haunted house novels ever written, and it stands out as an exceptionally atmospheric tale. 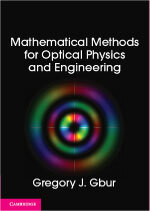 * A recent review & description of the novella can be read here. I wonder if the WInchester House in San Jose, CA was an inspiration for this. I had wondered that, too!